EP1~ S19 Samoa "The Puppet Master"
Topic: EP1~ S19 Samoa "The Puppet Master"
Thanks to SurvivorPhoenix, the tribal chiefs Mick and Russell S.
OMG I Know! I laughed so much when I watched this! Just makes me want to not watch. As long as he doesn't win. Remember last season when coach was voted out . . . Watching the villian take a fall has become a big part of survivor. Re: EP1~ S19 Samoa "The Puppet Master"
I hope he won't win, I saw this a few days ago from Facebook. It seems Russell will give us some entertainment until someone realizes he is playing them. He should be interesting to watch. He definitely wont win but he'll make the show entertaining be it good or bad way you see it ha! 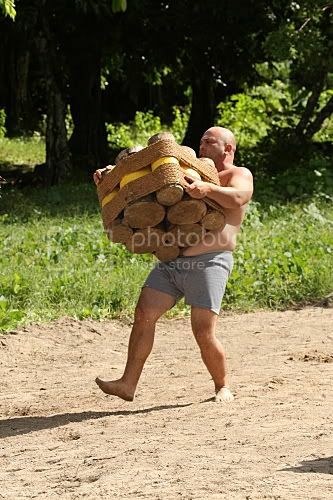 Russell Hantz, during the first challenge, during the first episode of SURVIVOR: SAMOA premieres Thursday, Sept. 17 (8:00 - 9:00 PM ET/PT) on the CBS Television Network. 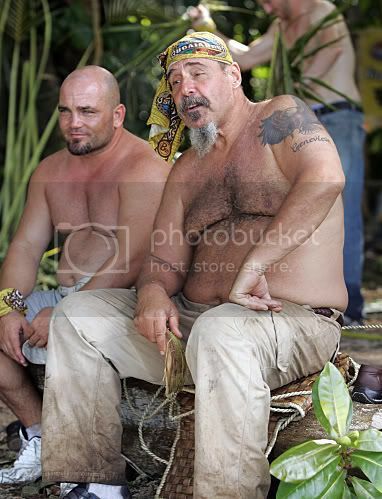 Russell Hantz, and Mike Borassi during the first episode of SURVIVOR: SAMOA premieres Thursday, Sept. 17 (8:00 - 9:00 PM ET/PT) on the CBS Television Network. Russell Swan, Erik Cardona and Kelly Sharbaugh during the first episode of SURVIVOR: SAMOA premieres Thursday, Sept. 17 (8:00 - 9:00 PM ET/PT) on the CBS Television Network. Natalie White, Ashley Trainer and Mick Trimming, during the first episode of SURVIVOR: SAMOA premieres Thursday, Sept. 17 (8:00 - 9:00 PM ET/PT) on the CBS Television Network. Shannon "Shambo" Waters and Erik Cardona, during the first episode of SURVIVOR: SAMOA premieres Thursday, Sept. 17 (8:00 - 9:00 PM ET/PT) on the CBS Television Network. Jaison Robinson, John Fincher and Jeff Probst during the first challenge, during the first episode of SURVIVOR: SAMOA premieres Thursday, Sept. 17 (8:00 - 9:00 PM ET/PT) on the CBS Television Network. EXACTLY. OMG, i'm disgusted. Horribly disgusted. That's even worst than Randy or Corrine just making snideful comments and remarks. He's doing things which will make others lose their things. Is that even allowed? One thing for sure though, Russell won't win. Villians, ultimate villians never win Survivor. They'll all go Randy, Corrine, Dreamz and Coach way. But Russell will stay long enough to annoy us all. It should be name, Survivor: Russell or The Russell Show. Who remembers the other contestants?? IMMUNITY CHALLENGE: "Yank Your Hank" - Climbing/hauling/puzzles: Galu wins? RTVW/Blows "State Of The Spoiling (SOTS): S19 Samoa: Episode 1"